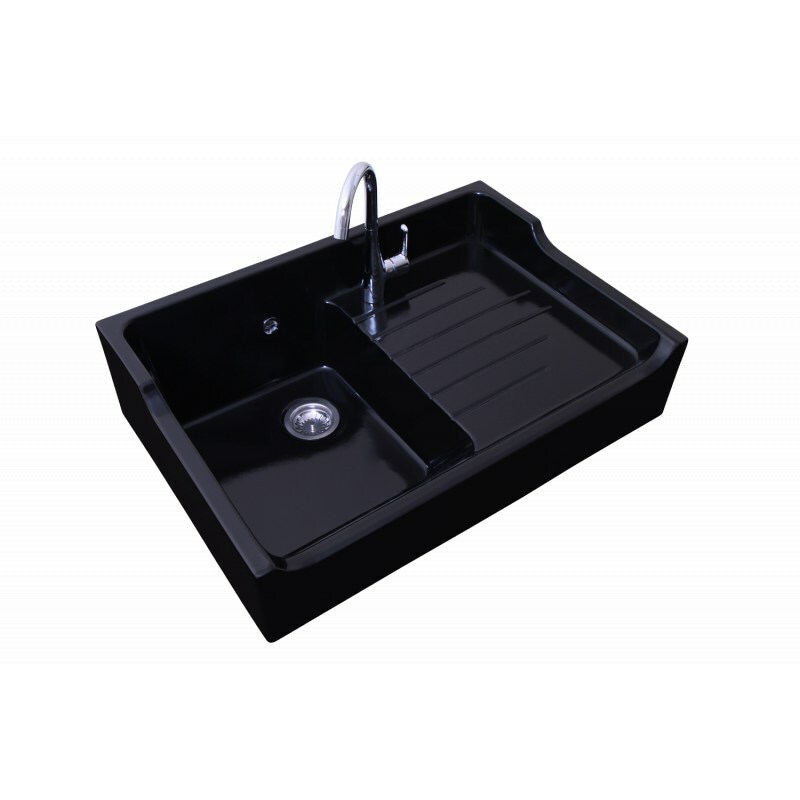 Ceramic Sink 1Bac + Drip tray Grand Siècle Black Sarreguemines. Here is the sink Timbre d'Office Grand Siècle Noir by Sarreguemines, recognized for the quality of its luxury sinks. You will appreciate its highly worked finishes allowing it to agree with many decorations. This material is also durable and exceptionally strong. It has a large tray with a drainer just as consistent. 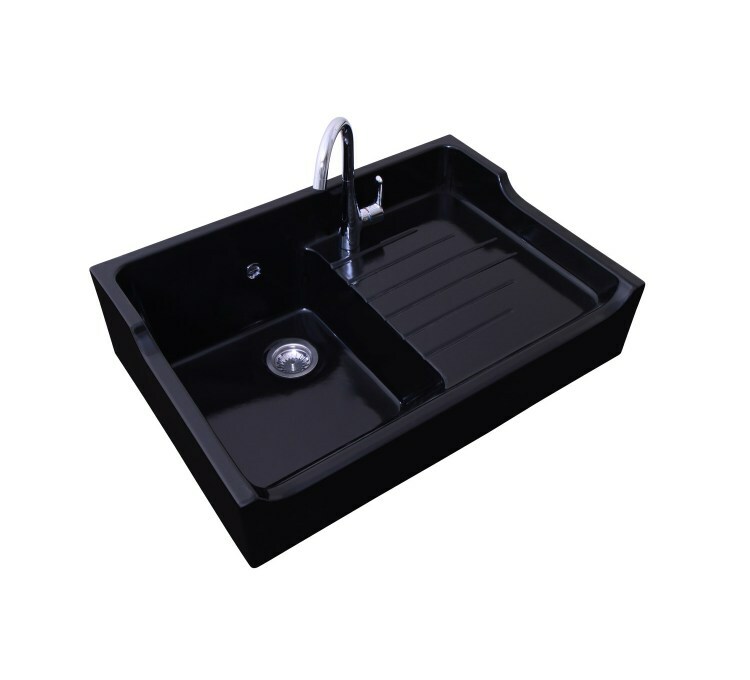 We present to you the luxury sink Grand siècle Noir by Sarreguemines, stamped Timbre d'Office. 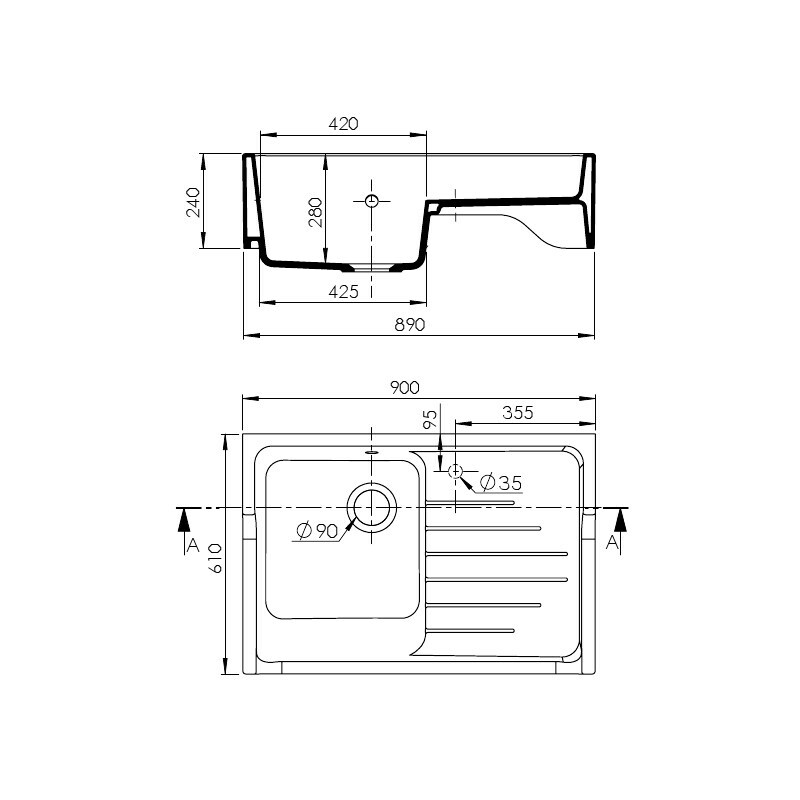 The great French manufacturer proposes here a sink combining ergonomics, practicality and durability. Its constitution in high quality ceramic makes its surface unalterable and easy to maintain. we will also appreciate its sober and majestic design, which will fit seamlessly into most kitchens. 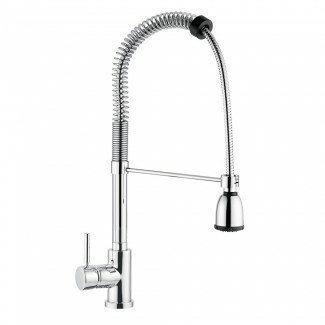 Sold with manual draining system, optional faucets. 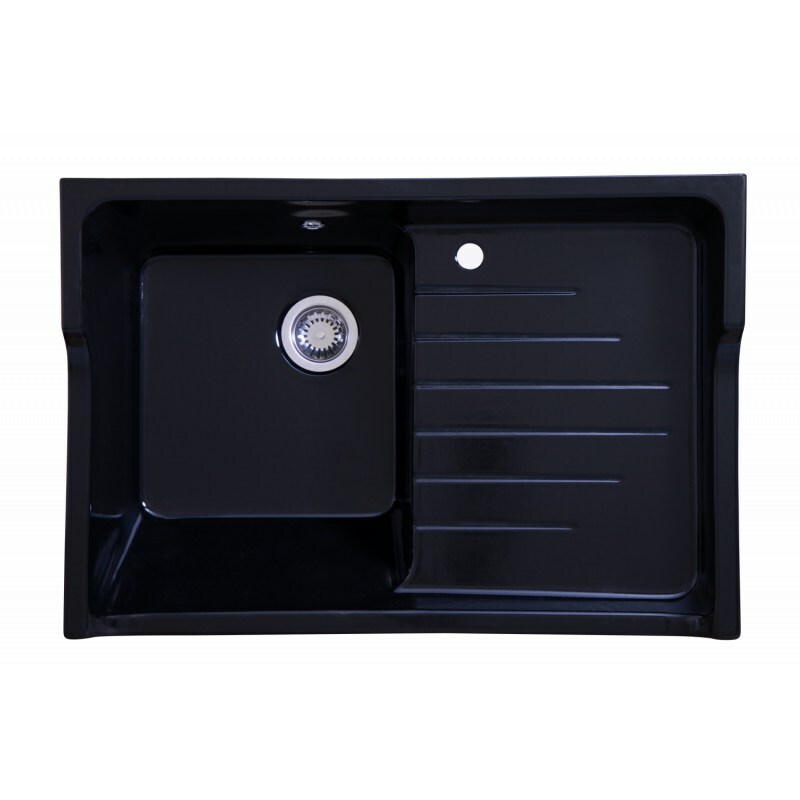 The sink Grand Siècle Black displays dimensions of 900x610x240 mm and is therefore not at all cumbersome, you can easily find a place where to ask. In addition, the quality of its finishes and its design being relatively simple will allow it to blend easily into your interior design. It is made from high quality ceramic (enamelled fine finish), giving it great strength and durability. It is therefore unaffected by the effects of time, and will resist incredibly well to corrosion and discoloration. Finally, the chemicals will not attack its surface, you can use your cleaning products as you see fit. The materials used in its design will also simplify cleaning and improve hygiene: the uniform surface will not leave impurities to lodge and does not stain. The large deep-freezer and the large size drainer can accommodate many objects and elements of your silverware. The height of the tank limits splashing. Sarreguemines Timbre d'Office sinks are guaranteed to be French made and handmade with ceramics chosen for its exceptional quality. 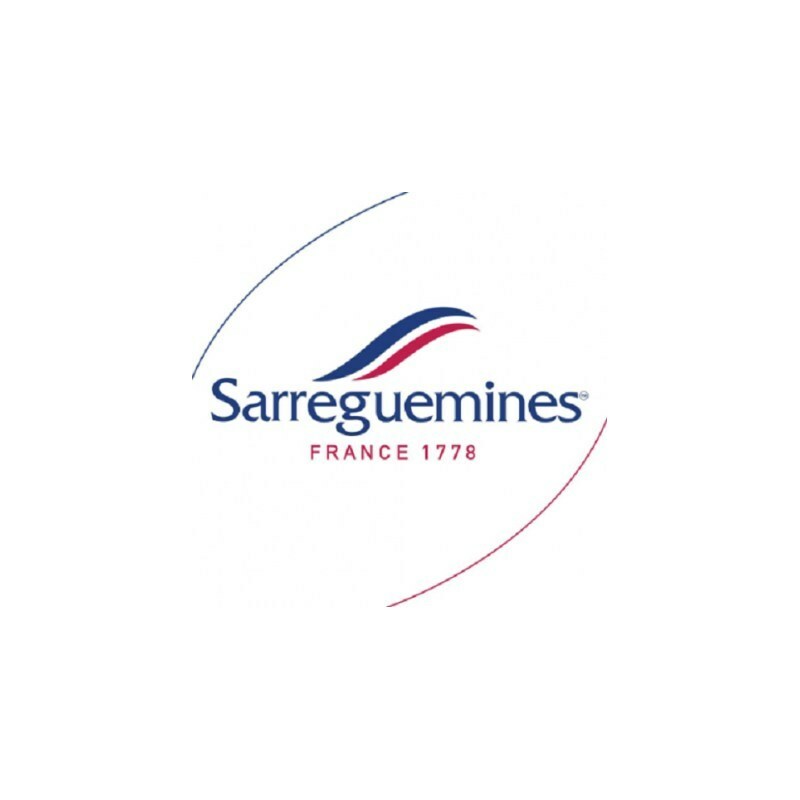 Choose a product Sarreguemines, a pledge of quality. We use transport partners for the delivery of sinks. We carry out a pallet strapping to avoid any accident of delivery and we assure our merchandise to 100%. The only thing we ask our customers and to control the state of the pallet and its contents in the presence of the deliveryman before acceptance of the delivery! If you have any doubt, refuse the delivery and notify specific reservations on the waybill otherwise we will not be held responsible if the goods shows significant damage.